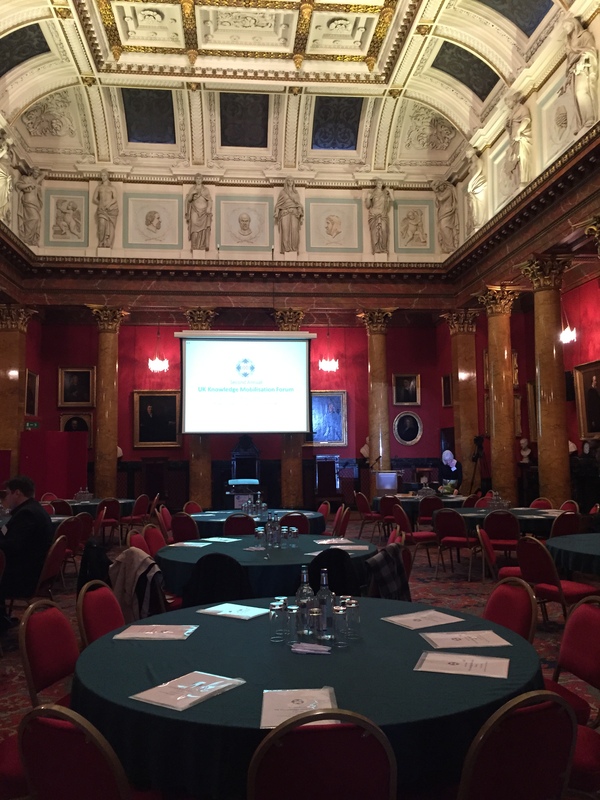 A few days ago, I got the chance to participate in the UK Knowledge Mobilisation Forum held this year in Edinburgh, in the stunning building of the Royal College of Physicians. This event allowed me to get accustomed to the terms of “knowledge mobilization” (KMb), that I had already come across in the literature of course, but without the awareness that it was a specific concept in itself (leading to concrete actions). So far, I was more familiar with the concepts of “knowledge sharing” or “knowledge transfer”. With it came the discovery of the expression “knowledge brokers” that I must admit, I was hearing for the first time. I knew about “information brokers” or “knowledge managers”, but had never heard about “knowledge brokers” and that of course, caught my attention and certainly did stir up my intellectual curiosity. (A few years out of the KM field are apparently enough to miss quite a few new significant changes in this area in constant evolution). Indeed, unlike the terms “knowledge transfer”, KMb emphasizes the essential role of the interconnections needed between knowledge users, producers and the knowledge itself which indeed needs to be mobilised if any sharing (and therefore learning) has to occur. This is where the role of “knowledge brokers” becomes obvious: the need of knowledge mediators is indeed needed to make the link between the users and the producers of knowledge, translating it, sharing it, or validating it. (Interestingly enough, these processes are well-known to the information specialists who have precisely learned theses competences during their training and professional experience). I’m therefore very thankful that I could enrich my own knowledge by attending such an alive event, full of wonderful professionals, all dedicated to the importance mobilizing knowledge in the most suitable and creative ways possible.